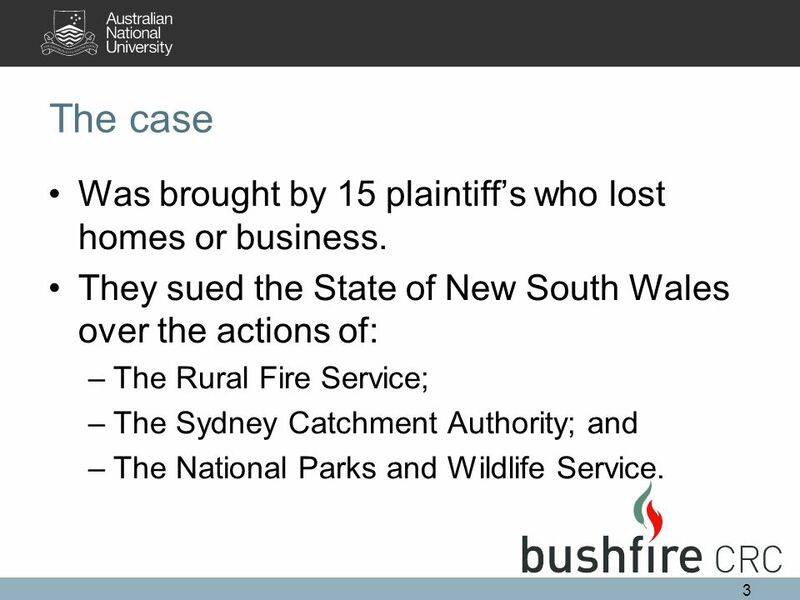 Warragamba Winery Pty Ltd v State of New South Wales  NSWSC 701 Michael Eburn ANU College of Law and Fenner School of Environment and Society. 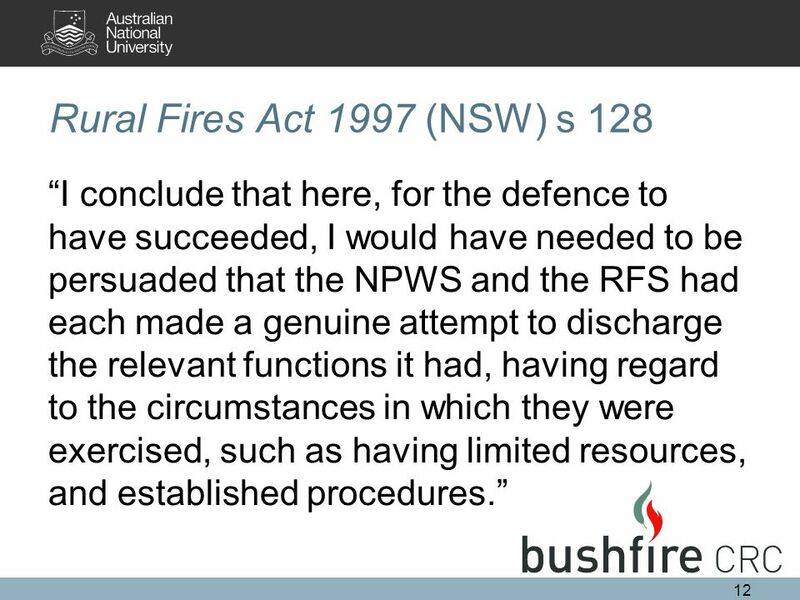 4 4 THAT the RFS owed a duty to the property owners to fight the fire on the morning of the 24 th. 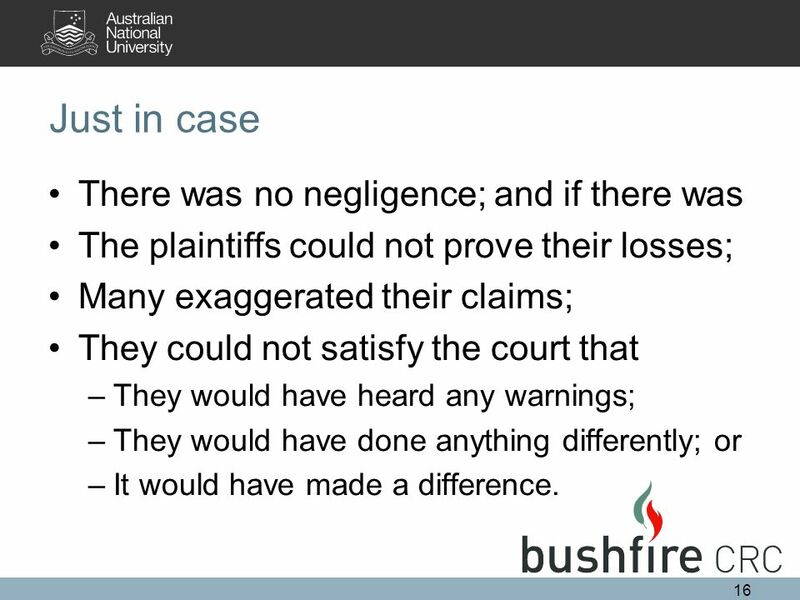 If they had fought the fire they could have extinguished it so that the damage to the plaintiffs would not have occurred. 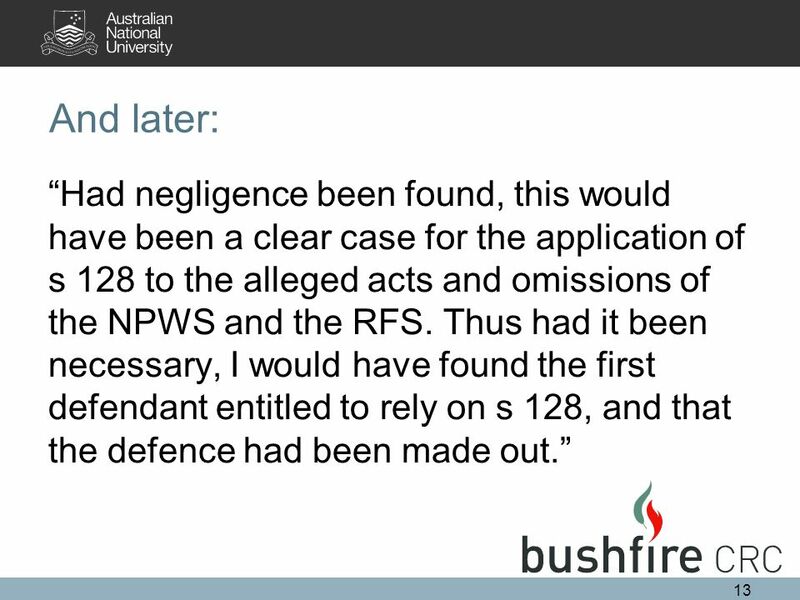 The agencies had a duty to warn based on RFS Act and common law. 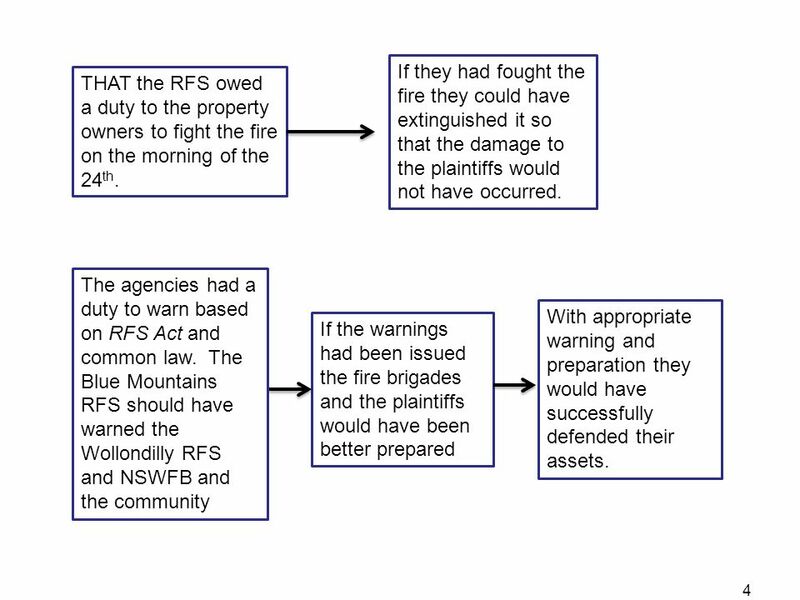 The Blue Mountains RFS should have warned the Wollondilly RFS and NSWFB and the community If the warnings had been issued the fire brigades and the plaintiffs would have been better prepared With appropriate warning and preparation they would have successfully defended their assets. 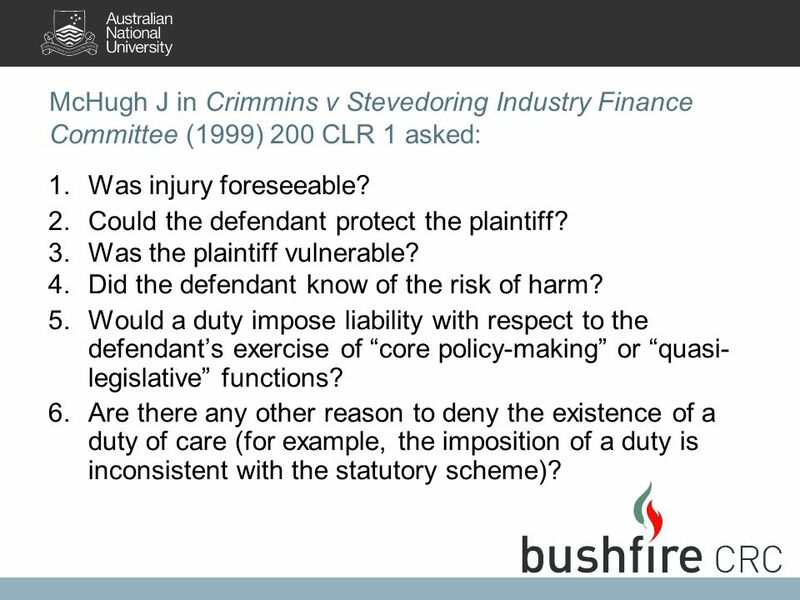 6 McHugh J in Crimmins v Stevedoring Industry Finance Committee (1999) 200 CLR 1 asked: 1.Was injury foreseeable? 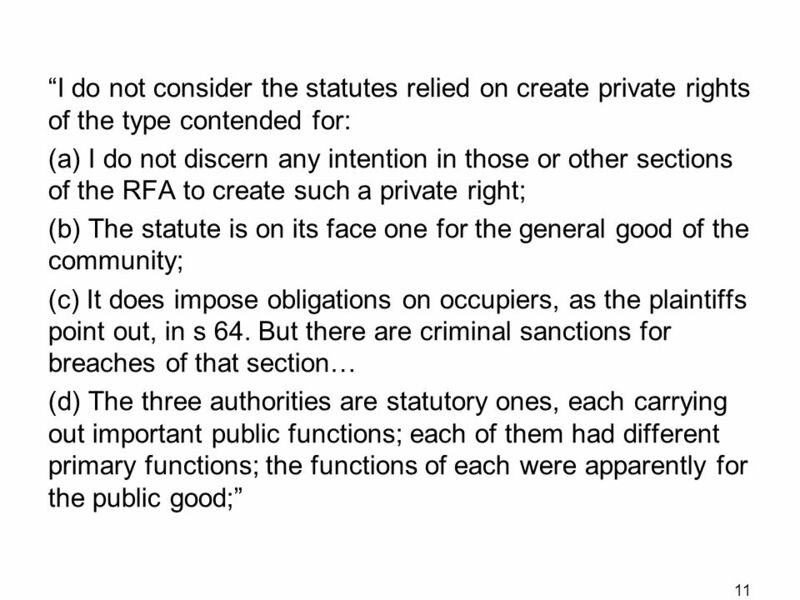 2.Could the defendant protect the plaintiff? 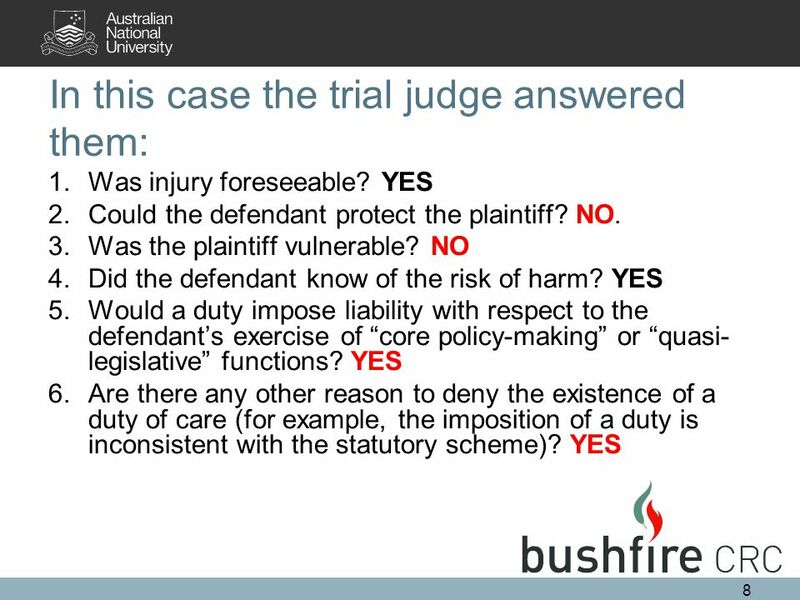 3.Was the plaintiff vulnerable? 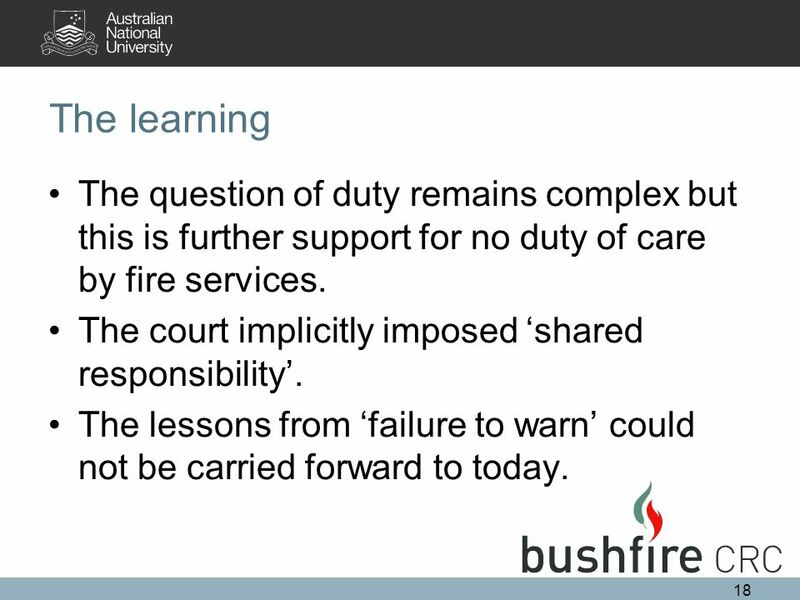 4.Did the defendant know of the risk of harm? 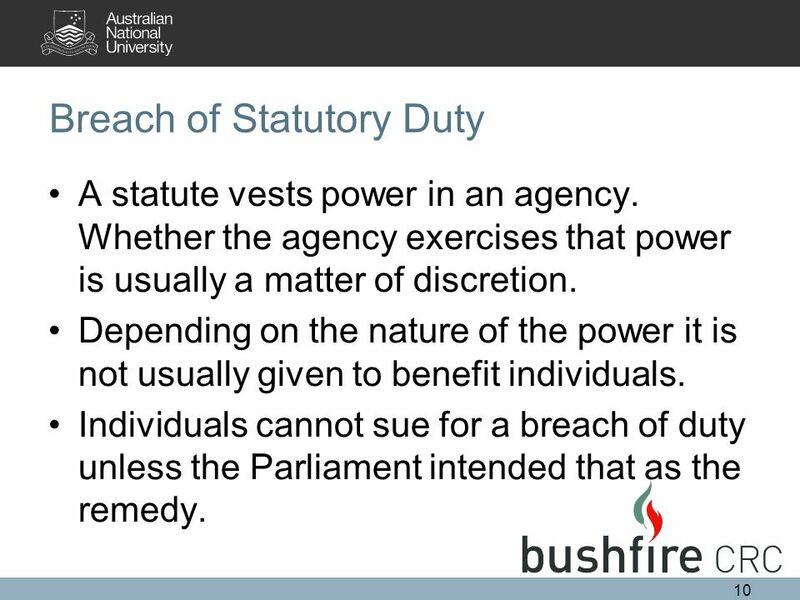 5.Would a duty impose liability with respect to the defendant’s exercise of “core policy-making” or “quasi- legislative” functions? 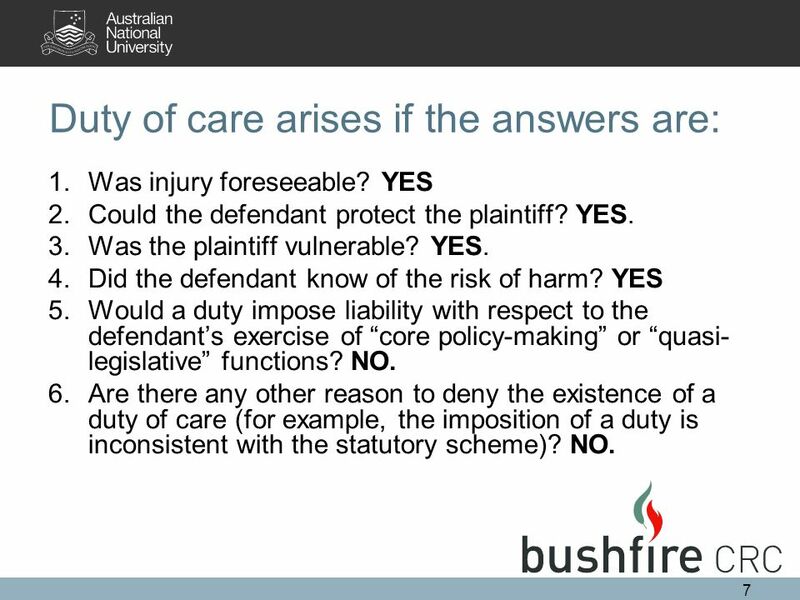 6.Are there any other reason to deny the existence of a duty of care (for example, the imposition of a duty is inconsistent with the statutory scheme)? 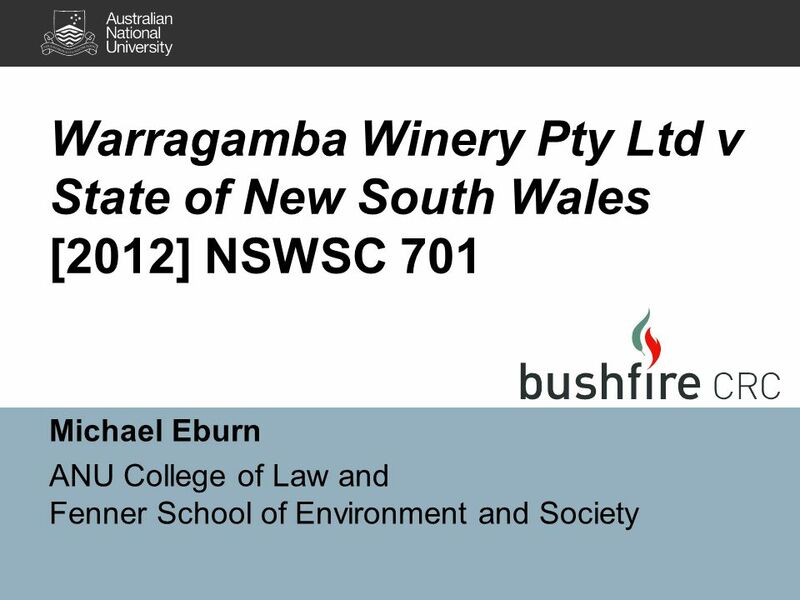 Download ppt "Warragamba Winery Pty Ltd v State of New South Wales  NSWSC 701 Michael Eburn ANU College of Law and Fenner School of Environment and Society." Due Diligence for Directors Martin Elliott Kovnats Jeffrey Kyle Merk. 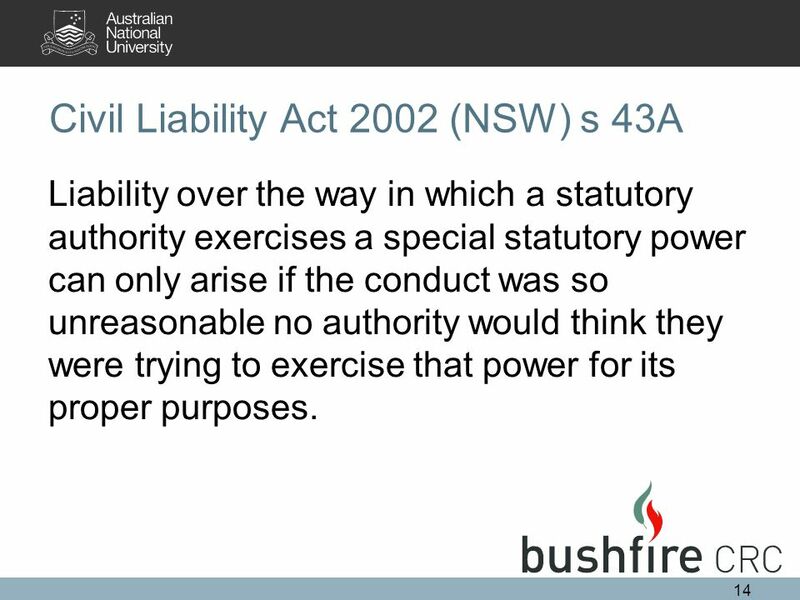 Chapter 20 Legal Liability McGraw-Hill/IrwinCopyright © 2012 by The McGraw-Hill Companies, Inc. All rights reserved. © 2007 Prentice Hall, Business Law, sixth edition, Henry R. Cheeseman Chapter 16: Remedies for Breach of Traditional and Online Contracts. CHAPTERCHAPTER McGraw-Hill/Irwin©2008 The McGraw-Hill Companies, All Rights Reserved Third-Party Interests FIVEFIVE. 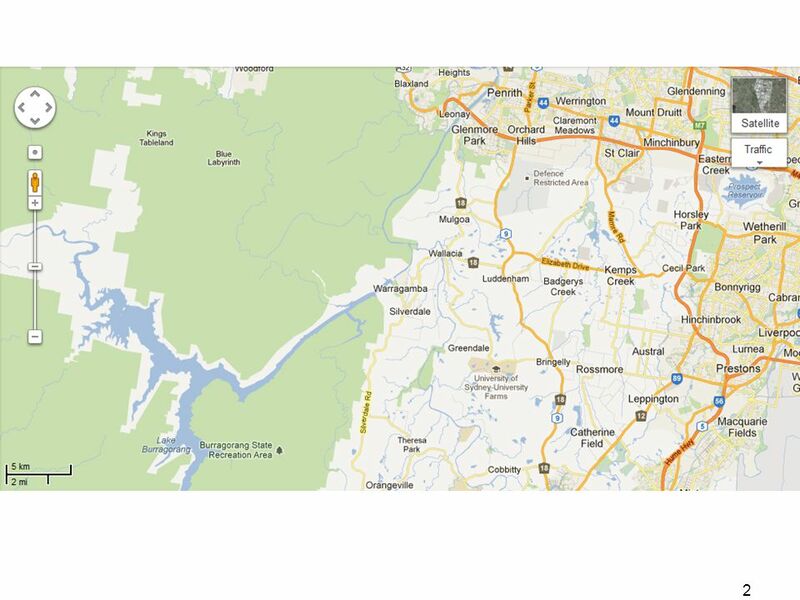 The Role of the Director Presented by David Spear State Manager SA/NT MAY 2013. 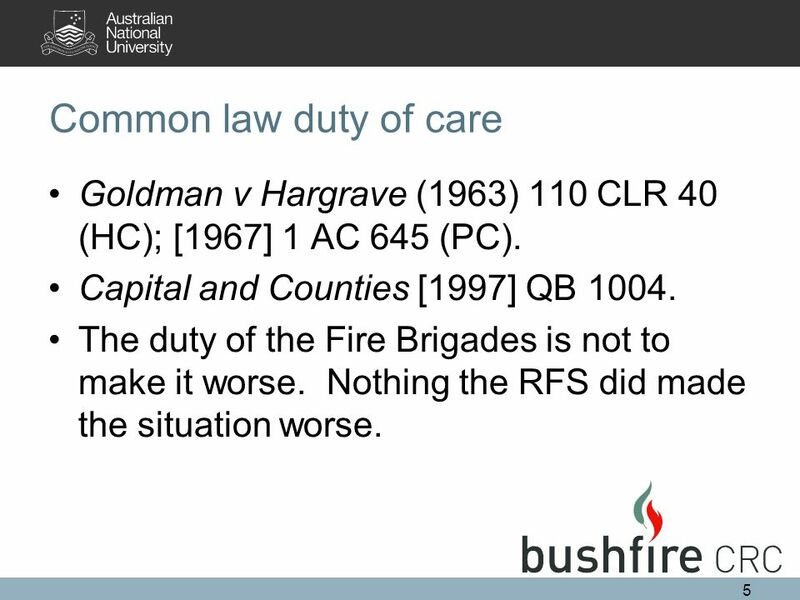 Protecting volunteers– a review of recent legislative developments. 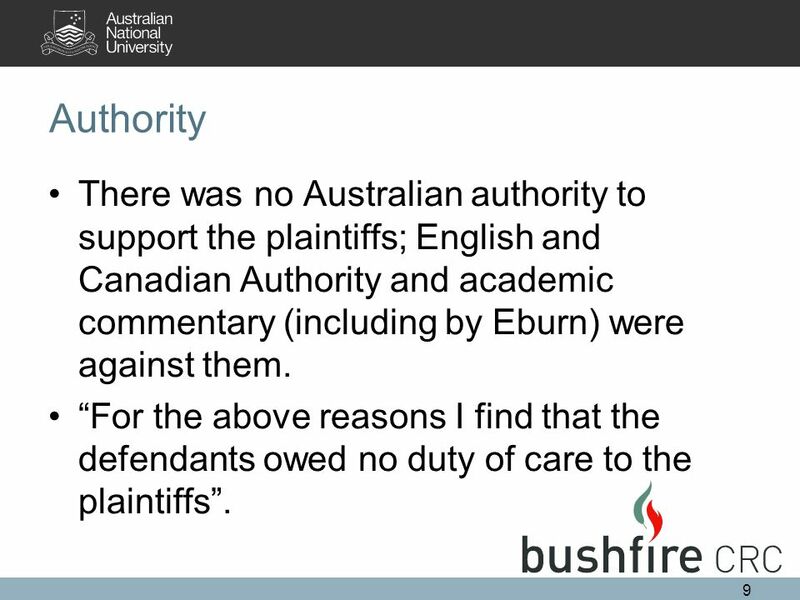 Michael Eburn School of Law University of New England. 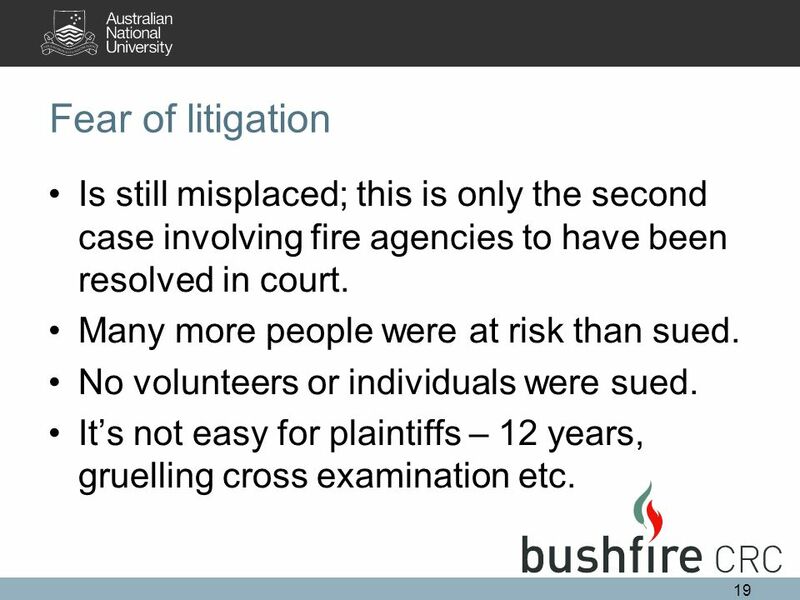 Why volunteers shouldn’t worry (too much) about being sued Dr Michael Eburn Senior Lecturer, School of Law, UNE. 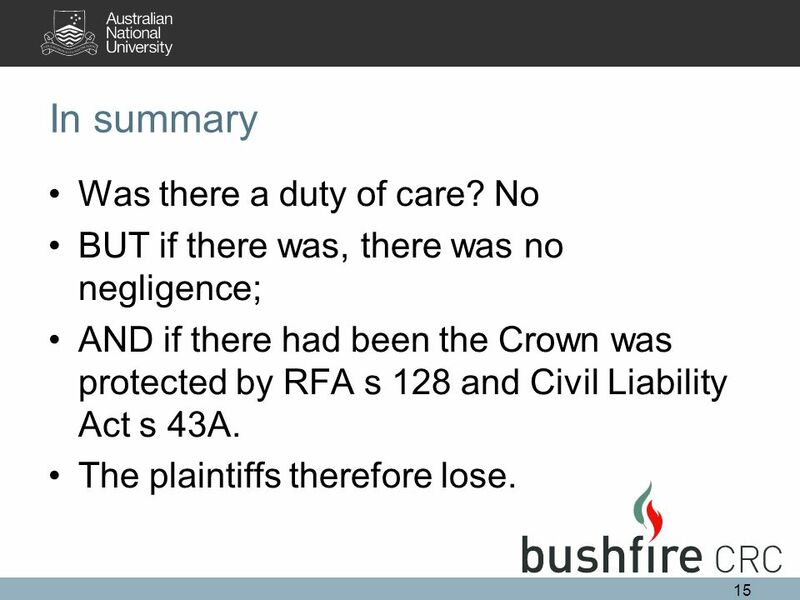 Q3 LAW NOTES 1 TORTS. 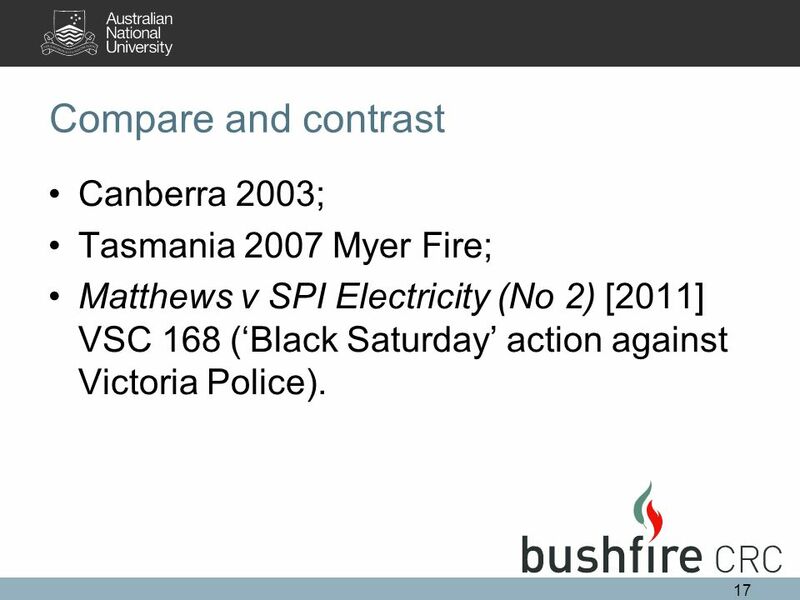 Dr Michael Eburn Barrister and Senior Fellow, ANU College of Law and Fenner School of Environment and Society Australian National University Understanding.